After a super early start and a morning of buses, planes, and trains we arrived in Waterford city, one of Ireland’s oldest cities on the South East coast. 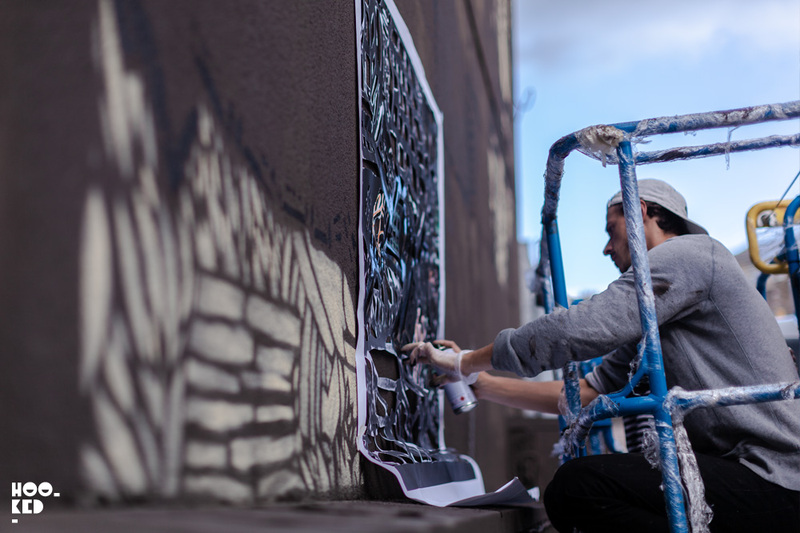 Those of you following us on our social channels will already be aware that we are in town for the fourth edition of the annual International Street Art festival, Waterford Walls. After a quick stopover in Dublin to catch up with some family and friends over a few coffees at the ever-excellent Clement &Pekoe we then took the short two-hour train journey from Dublin’s Heuston Station along the east coast to Waterford’s Plunkett Station. A short 5-minute walk across the River Suir, which flows through Waterford City and we located our riverside hotel. A friendly Irish welcome at check-in, we dropped our bags and hit the streets with our cameras. 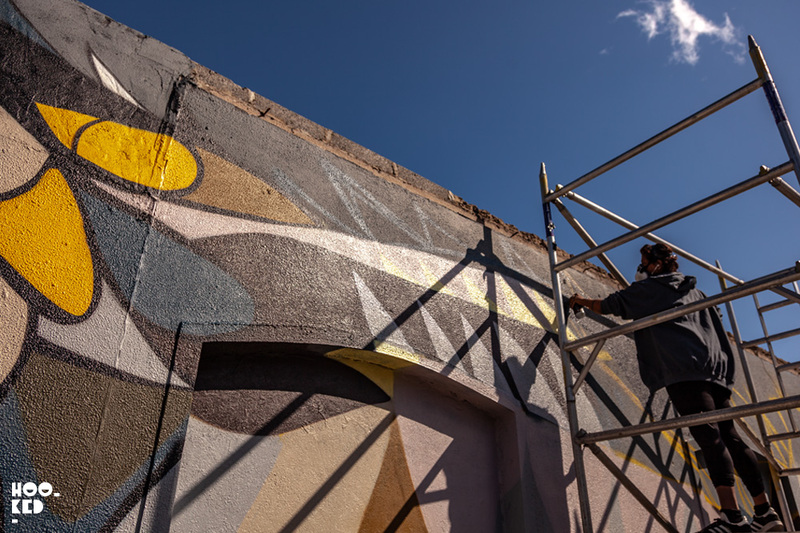 What with the festival already in full swing many of the invited international and national street artists have begun working on their murals across the city with a few artists such as Curtis Hylton having already finished not one but two new murals in the city. Check out some of the scenes from the streets of Waterford in our series of photos below. 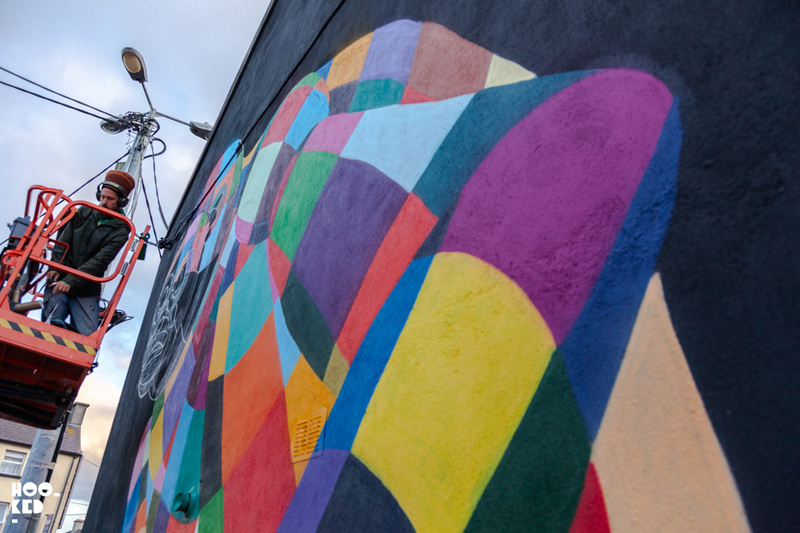 Waterford Walls festival will continue across the city all weekend with workshops, art jams, expert panel talks, art and music trails accompanying the street artists at work on their murals. 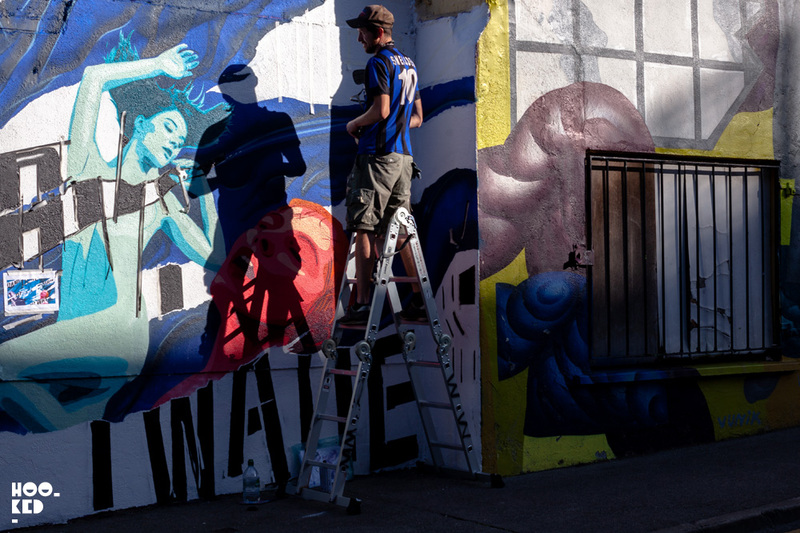 Check out the Waterford Walls facebook page for the latest updates on timing for these events and stay tuned for our coverage of the festival both on the blog and across our Hookedblog Twitter and Hookedblog Instagram accounts. The first of two new murals painted in Waterford by artist Curtis Hylton, both of which we completed before we arrived into town. The piece pictured above is painted on the Waterford Walls HQ located on O'Connell Street, Waterford. Indian-Canadian artist Fatspatrol is already about halfway through her mural on Stephen Street, Waterford. Dublin based artist Garreth Joyce at work yesterday putting the finishing touches to his mural on Thomas Street, Waterford. UK based artist Louis Masai is back for his second visit to Waterford and is making great progress on his vibrant mural featuring a black-faced spider monkey on Mount Sion Ave., Waterford. Argentinian Artist Animalitoland busy at work on her Doyle Street mural on Doyle Street, Waterford. 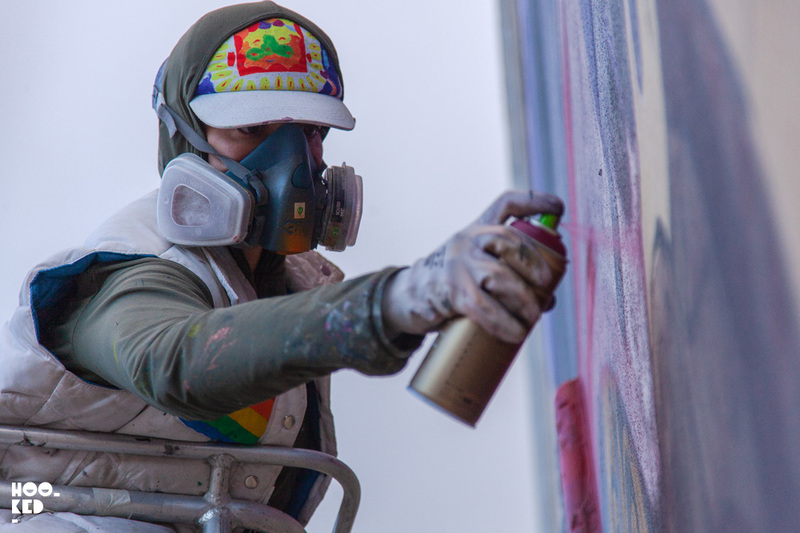 Pictured above is South African artist Sonny at work on his mural. This is the artists' second visit to Waterford Walls festival, his Electric Fury tiger piece he painted last year as part of his global mural tour #totheboneproject, with which he aimed to raise awareness and funds for endangered animals. 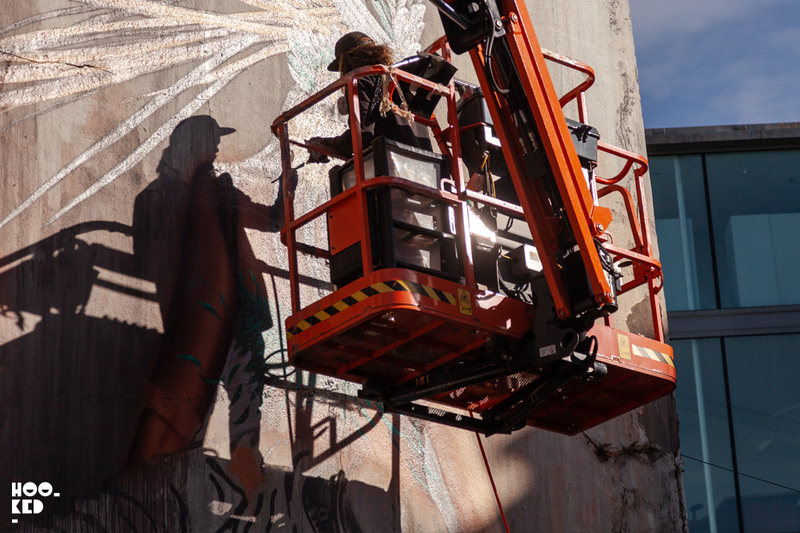 French duo Monkeybird Crew at work on their huge mural which will feature one of their large scale stencil based works, we are looking forward to seeing this piece finished. Returning street artists include LE BAS (IRE), SMUG One (AUS), Animalito Land (ARS), Joe Caslin (IRE), Dan Leo (IRE), Arcy (US), Signs of Power (IRE), Sonny (SA)(Previously on Hookedblog), Anna Doran (IRE), Omin (IRE), Aches (IRE), Verz (N.IRE), Caoilfhionn Hanton (IRE) and Rask (IRE) along with returning artists some of the newcomers include Monkey Bird (FR), Dan Kitchner (UK)(Previously on Hookedblog), Faunagraphic (UK), Rocket01 (UK), Lost Optics (ROU), Sr. X (ES) and Louis Masai (UK)(Previously on Hookedblog) to name a few. 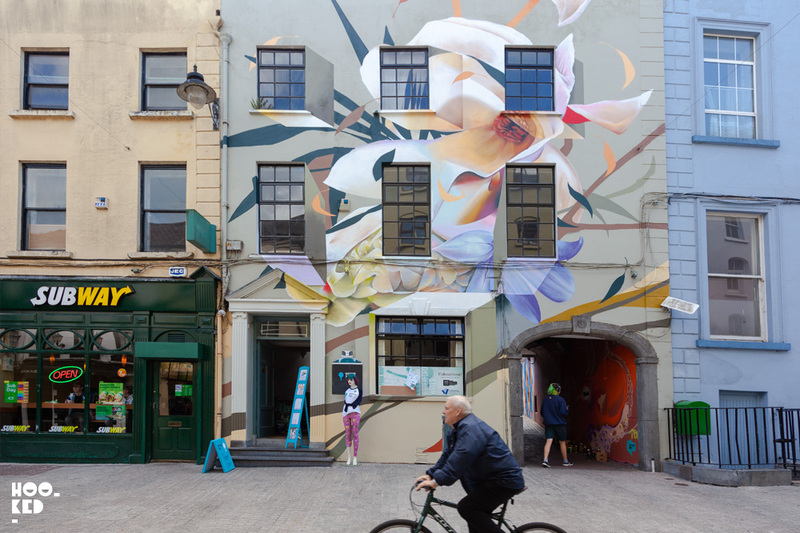 The work of Irish artist Omin painted as part of the 2017 edition of the festival. 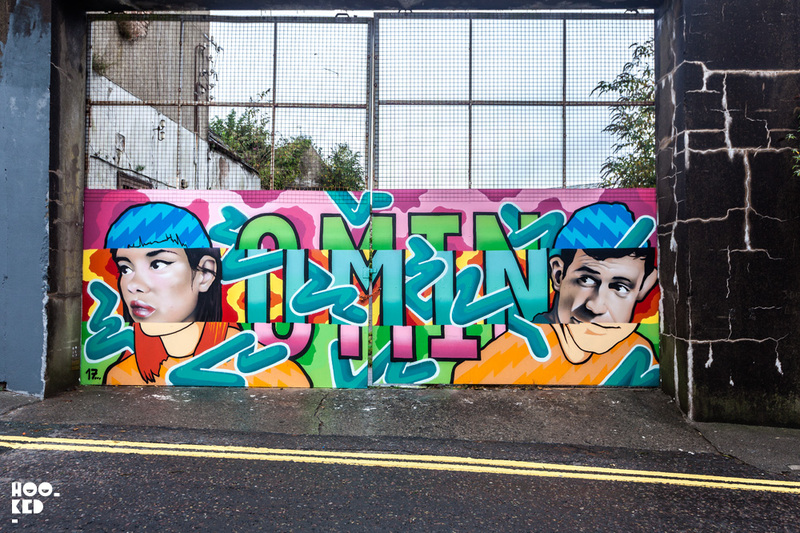 Omin is set to return this weekend to Waterford and will paint some new work. 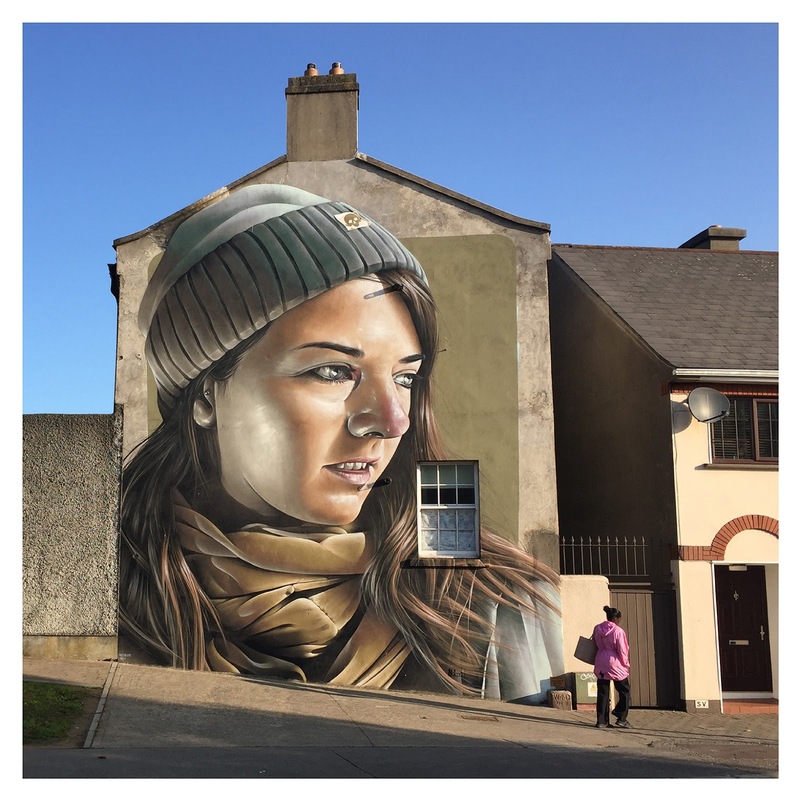 Waterford Walls International Street Art Festival will run until the 26th August 2018. More info can be found via the Waterford Walls website. 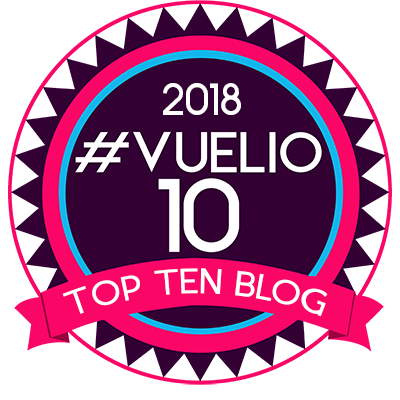 Hookedblog will be in Waterford, Ireland over the next few days and will be bringing you coverage from Waterford Walls Festival across our social channels so be sure to join us on Hookedblog Twitter or follow our daily adventures via our Hookedblog #InstagramStories on Instagram. 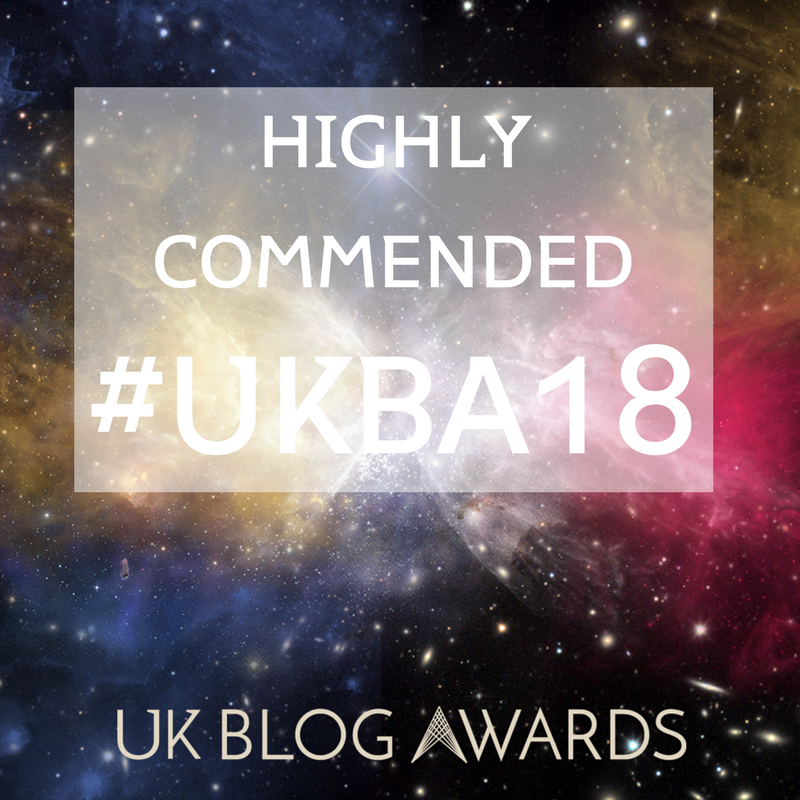 We will also be sharing stories and images on the blog from our adventures for those of you not using Instagram, so stay tuned for a full report. Irish Street Art Festival Waterford Walls 2017.